When I mentioned to my good friend Dr John Frusha down in Baton Rouge, Louisiana, I was headed that way and wanted to take my son Forest fishing, Dr J responded "Fishin'? Fishin's no fun. Let's go catchin'!! 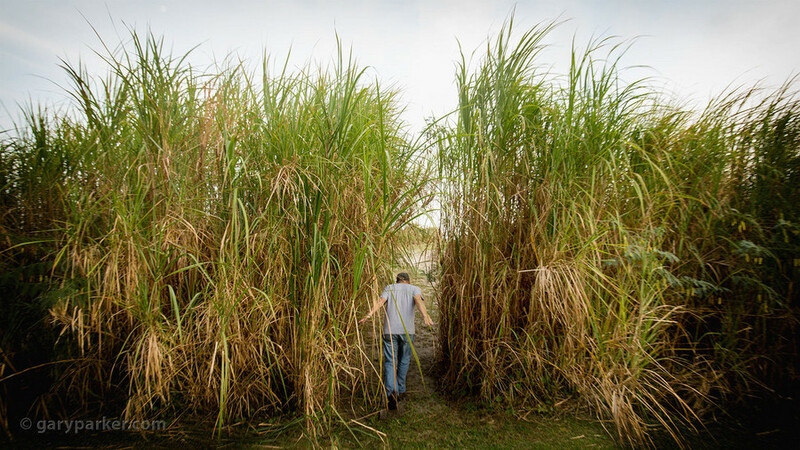 ! I'll setup a trip to Grand Isle 100 miles south of New Orleans. 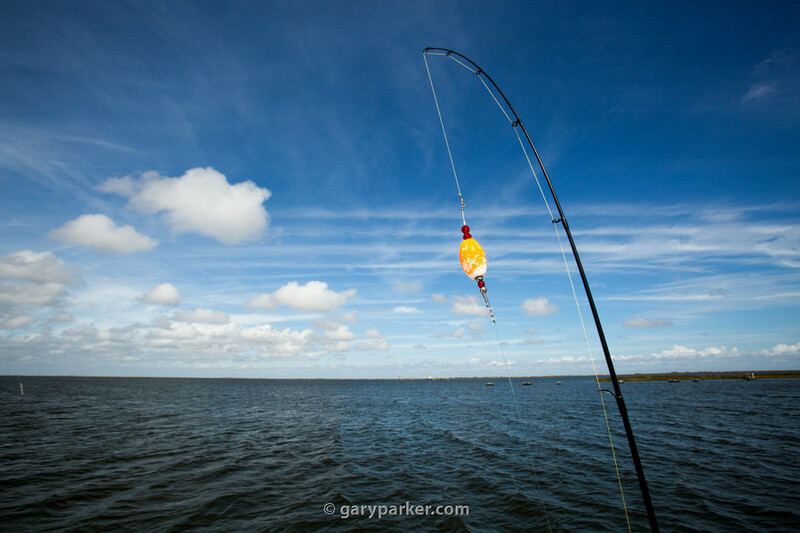 Forest will have a blast ~catchin'~ all kinds of fish." That sounded great so we grabbed a rental car and took a road trip to Grand Isle, out in the Gulf of Mexico where catching fish - actually catching fish - is relatively guaranteed both offshore and in the inland bays. 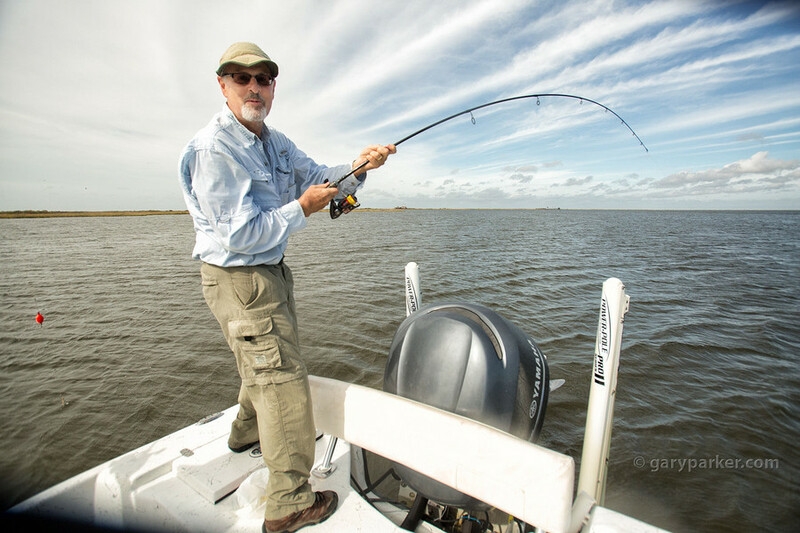 Grand Isle is well known for great fishing and equally famed as a point of reference when hurricanes are approaching Louisiana. This is a fishing story with evidence fish were actually caught! 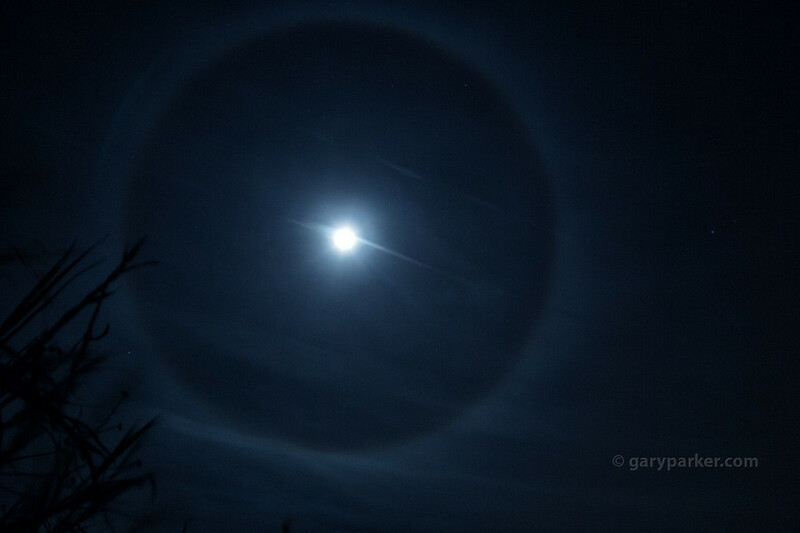 The night of our arrival at our beachfront fishing camp on Grand Isle, Louisiana a moon ring appeared! We took it as an omen indicating a successful fishing trip the next morning. Tech: Sand as tripod, ie, Canon 16-35mmm lens simply laying on the beach. This omen seemed significant enough we did a moondance. 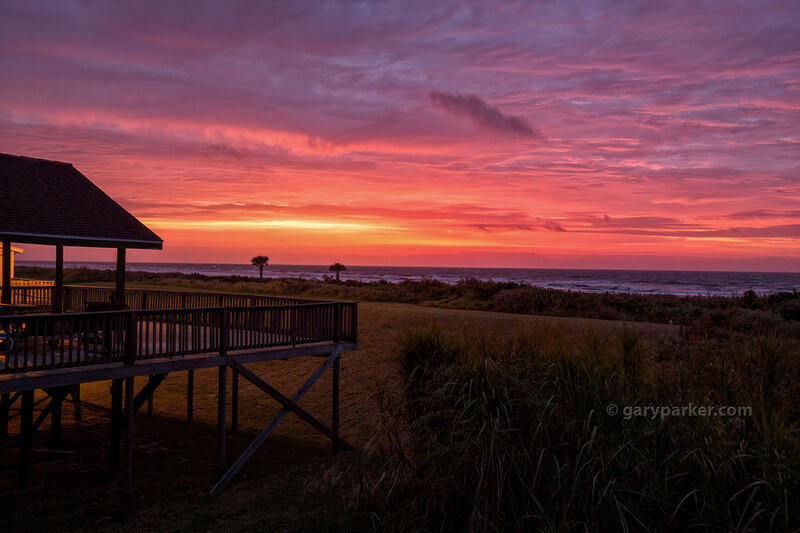 Sunrise over the Gulf of Mexico from our beachfront fishing camp indicated a clear day for fishing ahead! 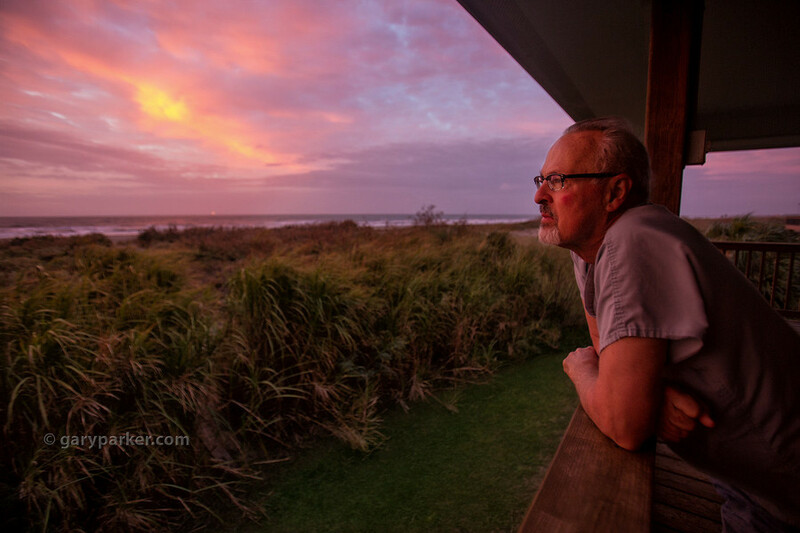 We were fortunate to stay at "Julie's Bright Idea," a privately owned family fish camp on Grand Isle. 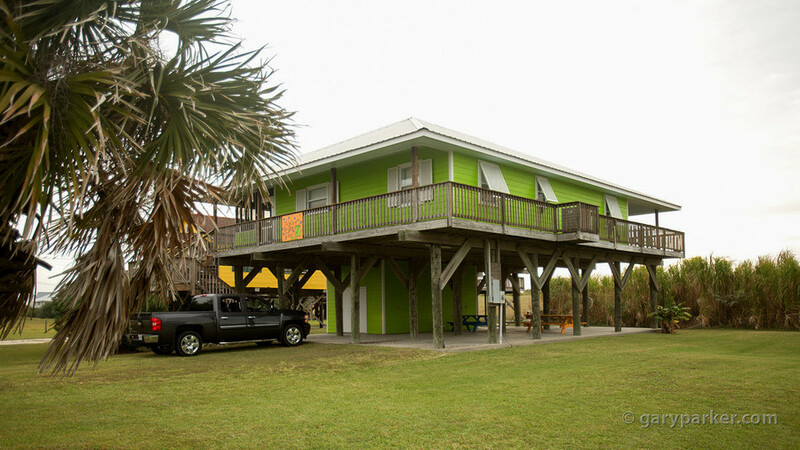 Many beachfront "fish camps" on the Gulf of Mexico are solid homes built to hurricane standards on massive stilts capable of withstanding ferocious winds and tidal waves. This is not a place I'd want to be during a major hurricane. WHO DAT?! 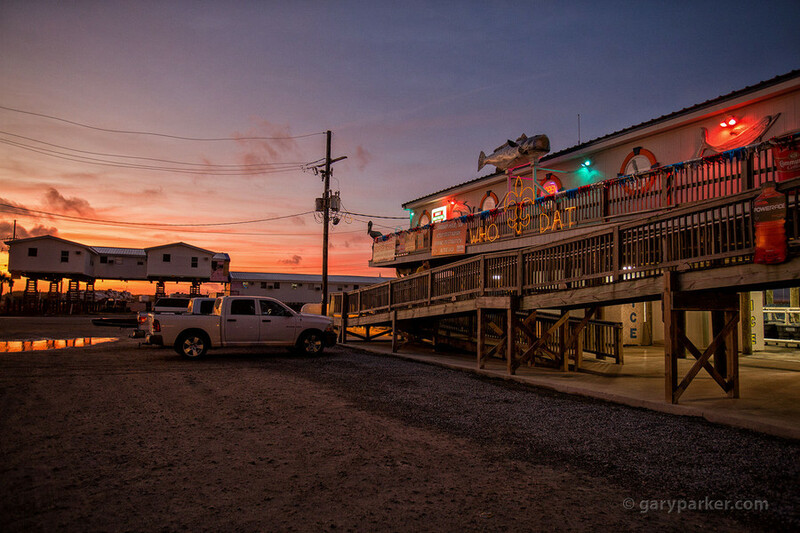 I'm not sure if this Cajun fishing marina on Grand Isle is named "Who Dat" or if New Orleans Saints' fans put their slogan up in neon everywhere. Fishing guides gather here before sunrise to meet their fishermen. All was clear - even the typically muggy Louisiana humidity was low! 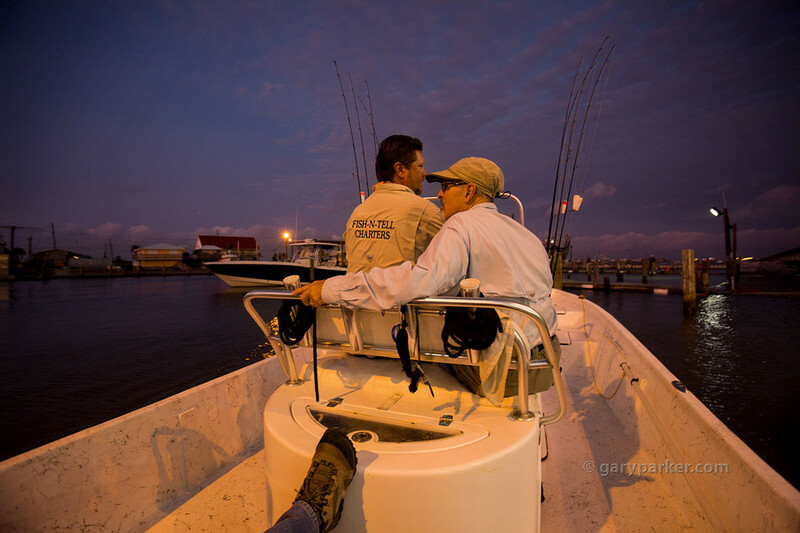 Waiting for sunrise before heading out into Caminada Bay in search of redfish and specks, Dr John and Captain Barry enjoy a perfect Louisiana morning. 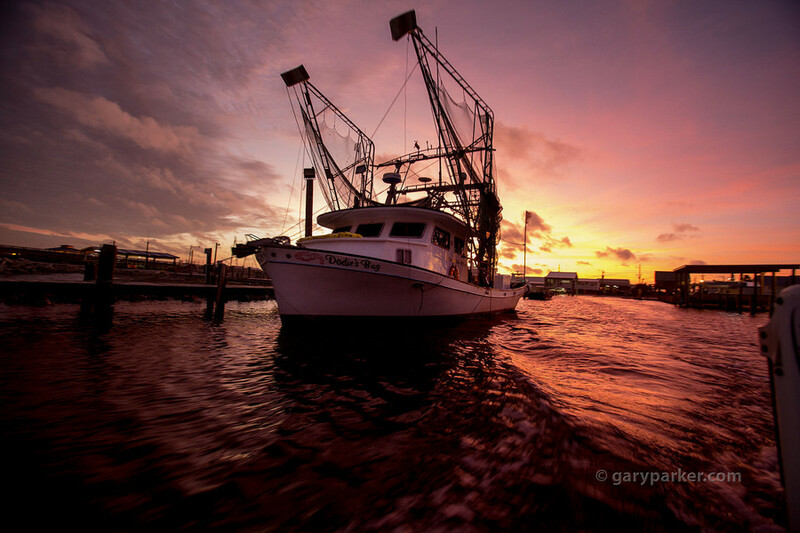 Heading out just before sunrise, a shrimp boat sleeping-in bobs in our wake as we head out from Who Dat marina. This trip was about catching fish yet the light was so mesmerizing this photographer quickly forgot about fishing in favor of making pictures! 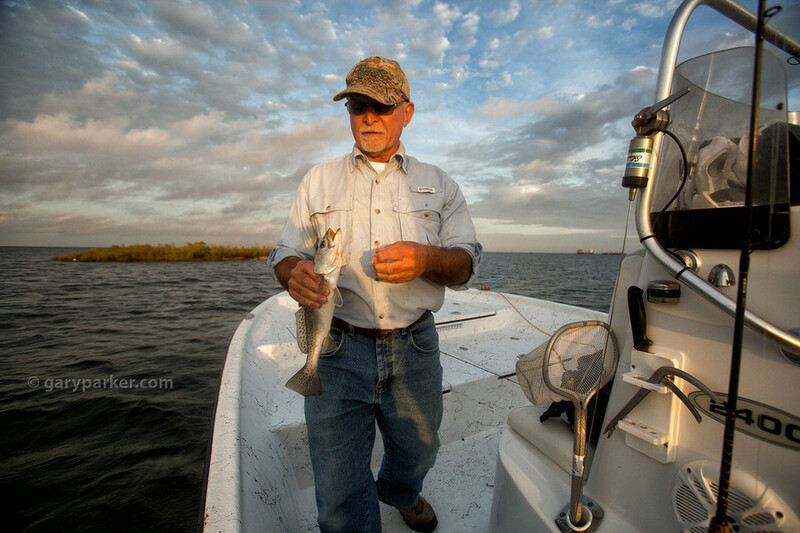 You just don't get this sweet light from a boat in a Gulf of Mexico bay every day. 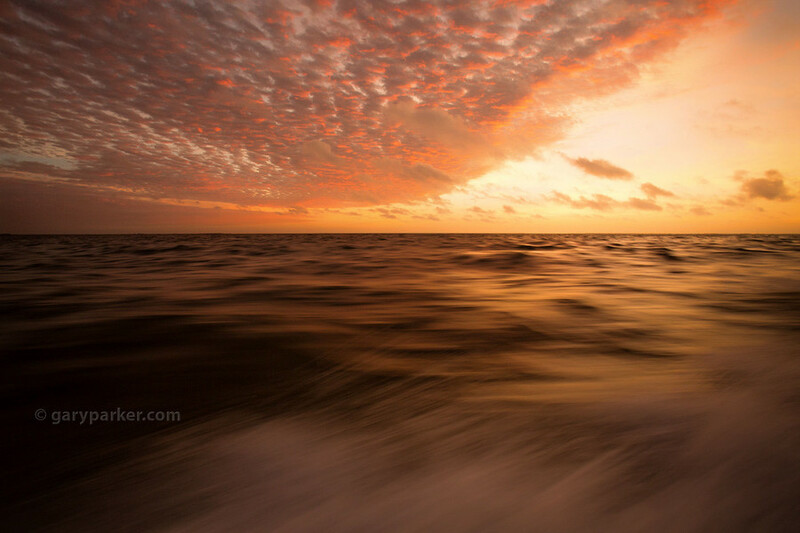 Sunrise at 46mph in a fishing boat racing to beat other fisherman to the very BEST spots! This photograph was tough considering a speedy fishing boat doing about 45 mph has no shocks as it pounds the water so a tripod is worthless. Instead. I used the edge of the boat and a lot of downward pressure on the camera to keep it from bouncing to create a boat tripod, of sorts. 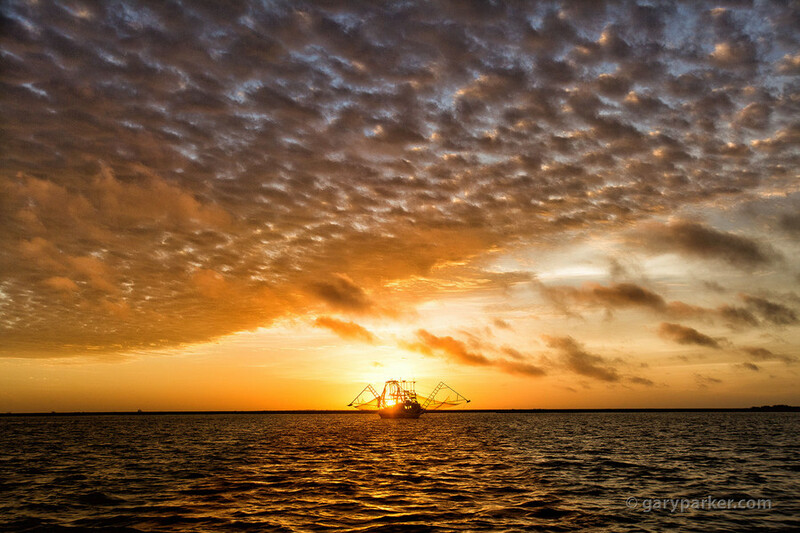 A shrimp boat docked far out in Caminada Bay created a classic Louisiana greeting card scene for us 2 minutes into our speedy sunrise fishing boat cruise. Captain Barry Schexnayder from Fish-N-Tell Charters pilots our boat into the morning just after sunrise, racing from one great spot to another. It was clear Captain Barry knew how to read that ever-changing water like a fish whisperer. If you want to go "catching", call Captain Barry. 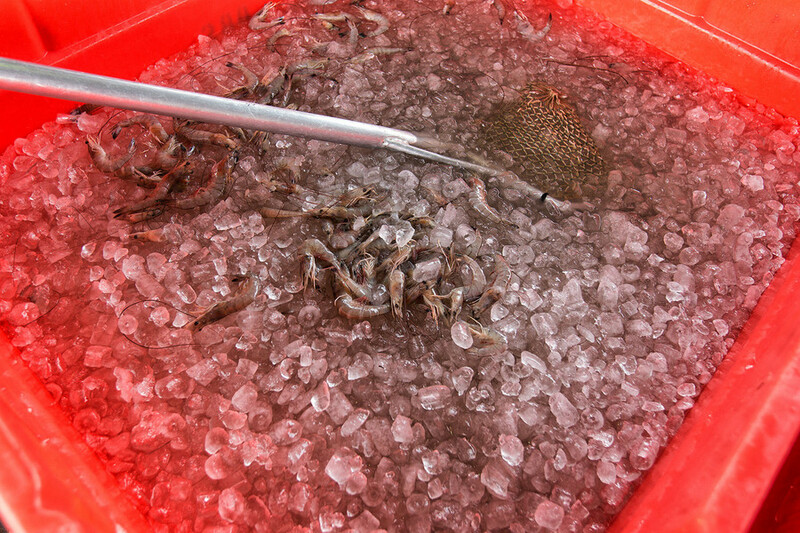 Shrimp are the bait used to catch reds and specks. In south Louisiana shrimp are as inexpensive as $2 bucks/pound! Our memorable sunrise transformed into a day so beautiful it didn't even matter (to a photographer) if the fish didn't bite! Thanks to Captain Barry and Dr J everyone caught enough fish for several fish fries! 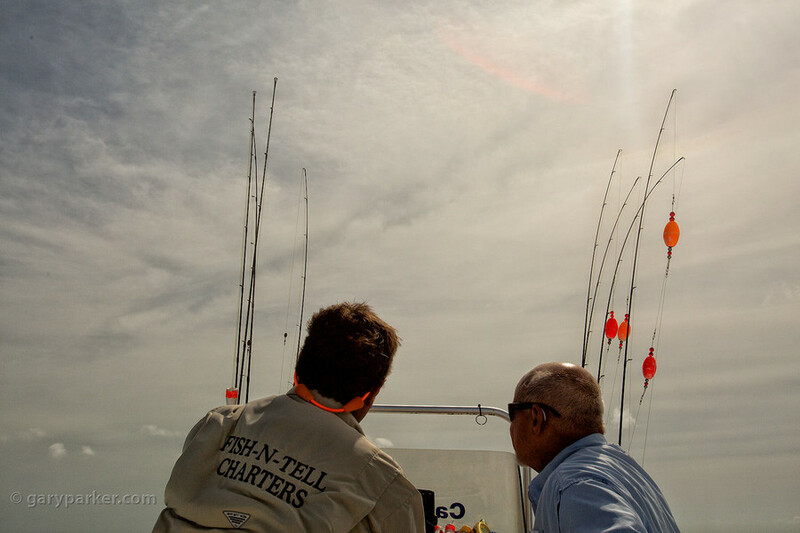 Wise old fisherman Danny Bagaley scores the first speck of the day then shows it to the newbies on board. 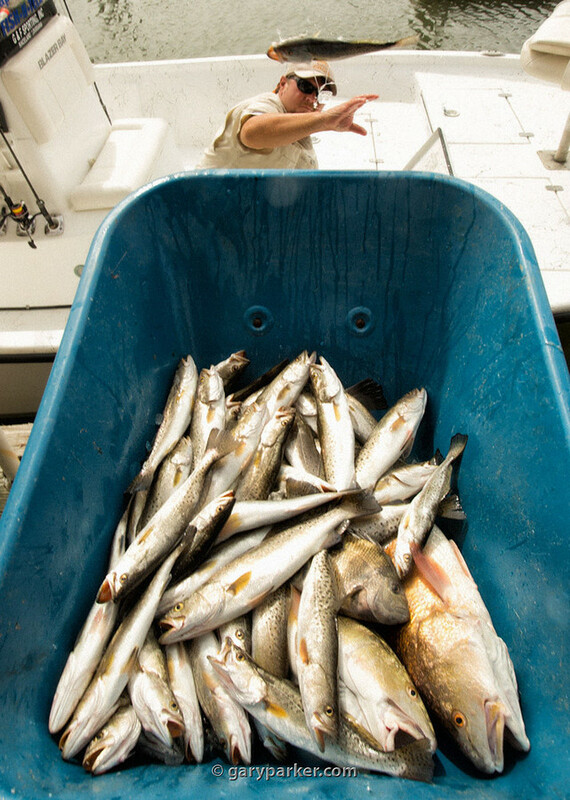 We ended up catching about 55 speckled trout - aka specks - between 3 fisherman and the photographer. Our catch included sting ray, sheepshead, specks and several large redfish. 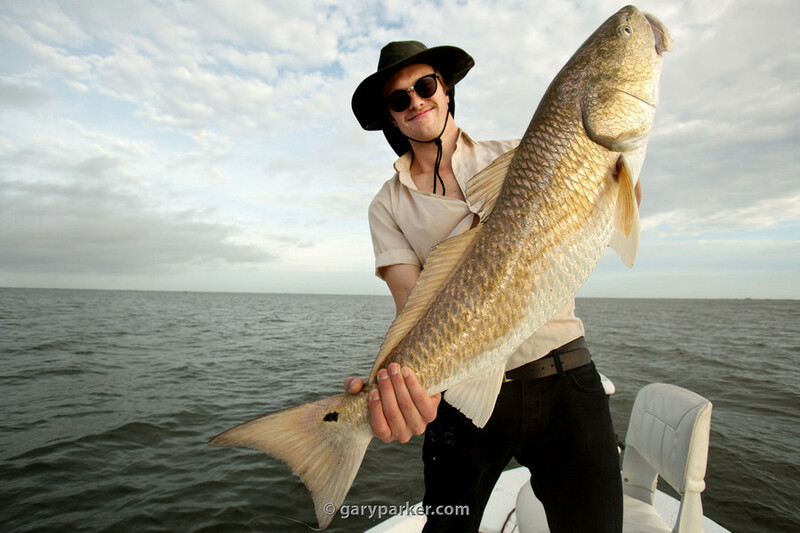 My son Forest Parker, a serious fisherman, fights a big redfish (aka red drum) that had him dancing in circles around the boat trying to land the biggest fish of the day. Dr John was right about "catching" being a lot more fun than "fishing!" Blackened redfish was made famous by New Orleans celebrity Chef Paul Prudhomme. 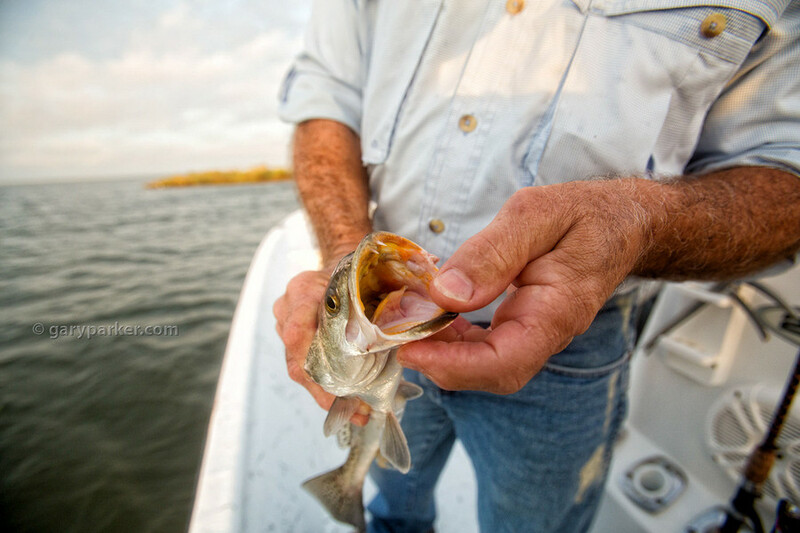 This particular redfish was too big to keep - large ones can have parasites - but several smaller redfish were keepers. Dr Johnny Frusha hooks a big redfish then graciously turns to hand the reel over to me, knowing I'm a terrible fisherman who needs help. There was a 15 pound redfish on that line and this guy let me catch it! Thanks Dr John! 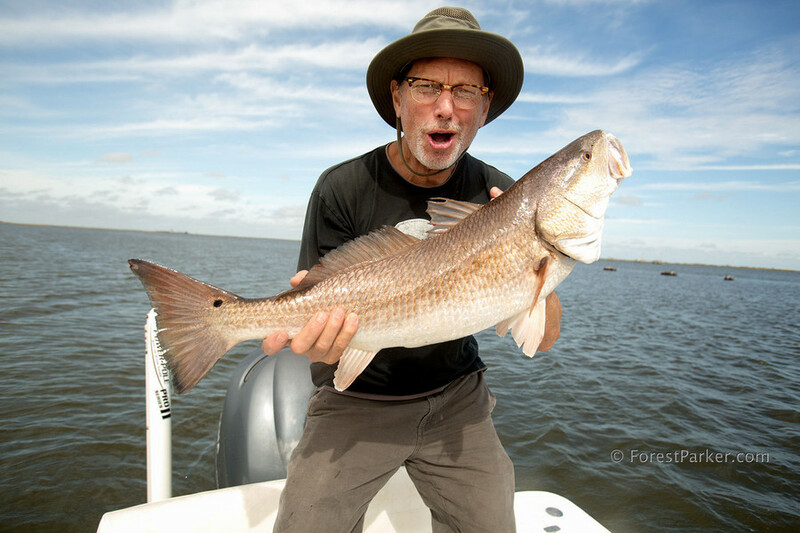 Evidence the photographer actually landed the big redfish Dr J's hooked then insisted I catch. We didn't weigh the fish but - this is a fish story - I'm thinking it's gotta be 50 pounds... Felt like 50 pounds so...this is my 50 pound fish! 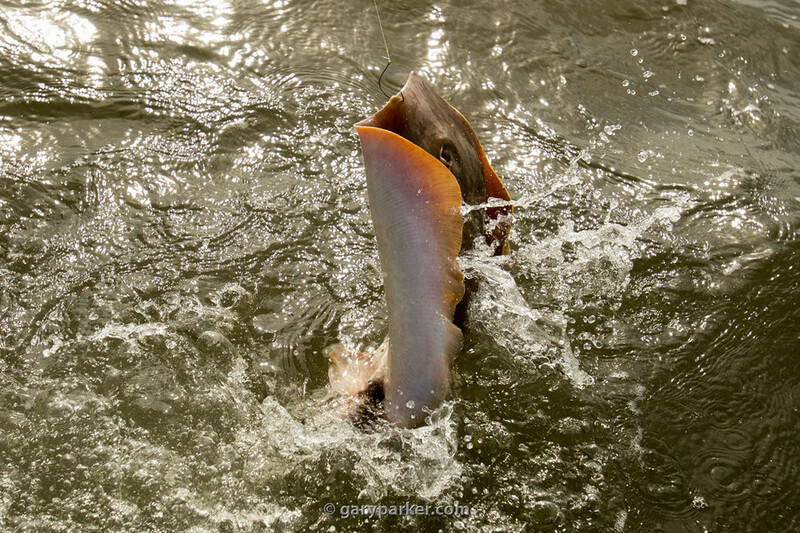 Our fishing guide was extra careful dealing with this sting ray, cutting it loose quickly. Apparently a sting ray flopping in the boat can inflict a serious wound. 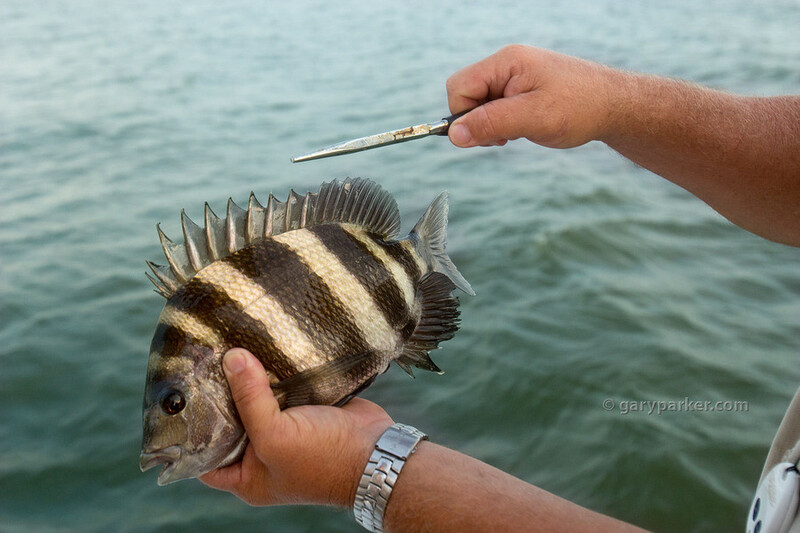 Captain Barry points out the treacherous spines on the fins of this Sheepshead. 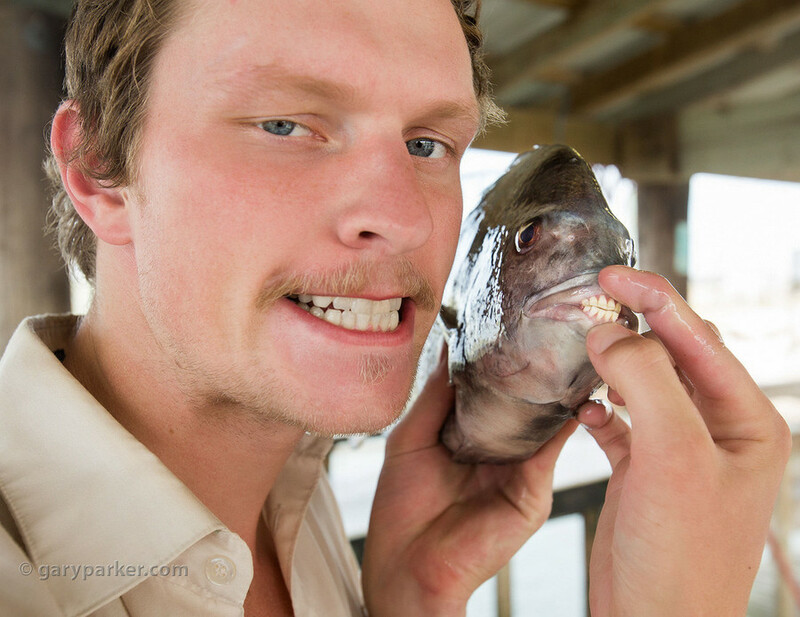 Apart from being cool looking fish, sheepshead are unique in having human-like teeth. Our fishing guide Captain Barry fills up a wheelbarrow with the results of Dr John taking us out "catchin!" 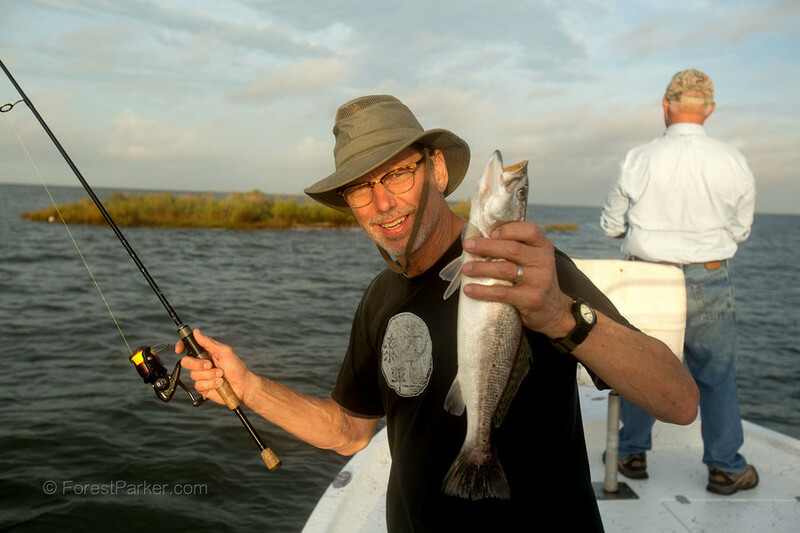 Even lousy fishermen like me can occasionally catch speckled trout in the Gulf of Mexico and surrounding bays. Before heading out after a great "catching" trip, our gracious host Dr John Frusha "flies" through a tunnel in the tall beach grass, the only barrier between the mighty Gulf of Mexico and the awesome fish camp where we stayed. As a south Louisiana post script, in route back home we passed this flooded south Louisiana cemetery. Cemeteries are flooded so often graves are typically sealed in above ground tombs. 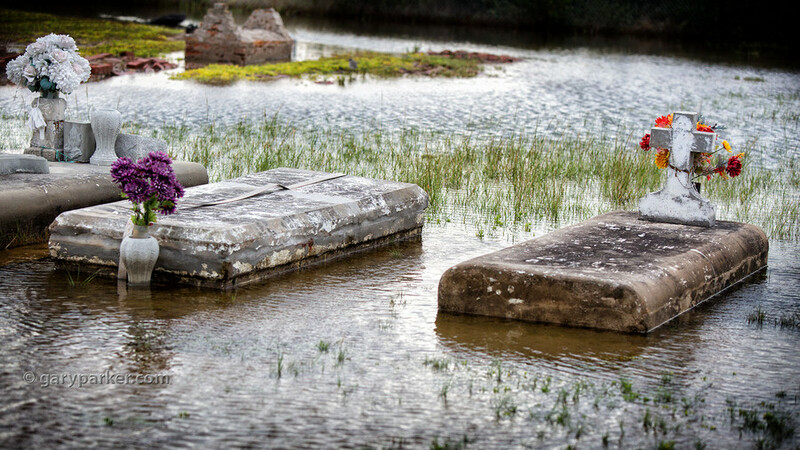 If buried in the earth, caskets have been known to pop out of the earth during floods.